Tiara Brown is a boxer. Super featherweight Tiara Brown signed with DiBella Entertainment on May 21, 2018. Since she first put on the gloves at the age of 13, there isn’t a day that has gone by when she hasn’t thought about the sport of boxing. Now, at the age of 29 and after nearly 17 years in the sport, the former amateur USA Boxing National Champion and AIBA World Champion has a 4-0 professional record with two KOs. She is also on the cusp of making another leap forward in her boxing career. Today, that next level will begin with the announcement that she has signed with DiBella Entertainment, joining such female boxing stars as Heather Hardy, Raquel Miller, Alicia Napoleon, Amanda Serrano, and Shelito Vincent. Lou DiBella made the announcement on Twitter today. A police officer with the Washington DC police force where she works in community policing, Brown also has new representation with Preeminent PR and has begun training with DC-based trainer Buddy Harrison to complete her transformation from an elite amateur fighter to that of a fearsome professional. As she works with her new team, her first challenge will be her upcoming main event performance in a six-round battle against boxer Carla Torres (5-5 1-KO). Not only is Brown going up in weight from featherweight where Boxrec ranks her 6th in the USA, but in fighting Torres, she will be stepping up her competition to that of a boxer who has fought such fighters as Ronica Jeffrey, Olivia Geruda, and Amanda Serrano. And in stepping up in weight to super featherweight, she is also beginning an ascent that will eventuate in challenging fighters at lightweight. Anxious to make a statement in boxing, she looks to such female boxers as Ann Wolfe, Katie Taylor, and her former USA Boxing teammate Raquel Miller for inspiration. From Ann Wolfe, she is learning how to place her punches with precision and explosive power and from Katie Taylor, she is emulating her ability to use combinations and angles to cut off an opponent’s ability to answer back. And from Raquel Miller, a true sister of the ring, she derives strength from watching Miller’s poise, balance, and strength. When she isn’t fulfilling her duties as a police officer or her many extracurricular activities mentoring teens, Brown is in the gym, working alone or with a trainer. Back at home, she watches fights on YouTube or wherever she can find them, whether it’s figuring out how to adapt Lomachenko’s mastery of angles and footwork, or checking in on the competition as she looks to climb her way up to winning championship belts. As she says, “I am a fighter,” and given her talent, her drive, and her spirit, she will meet the challenges ahead with fortitude and perseverance. 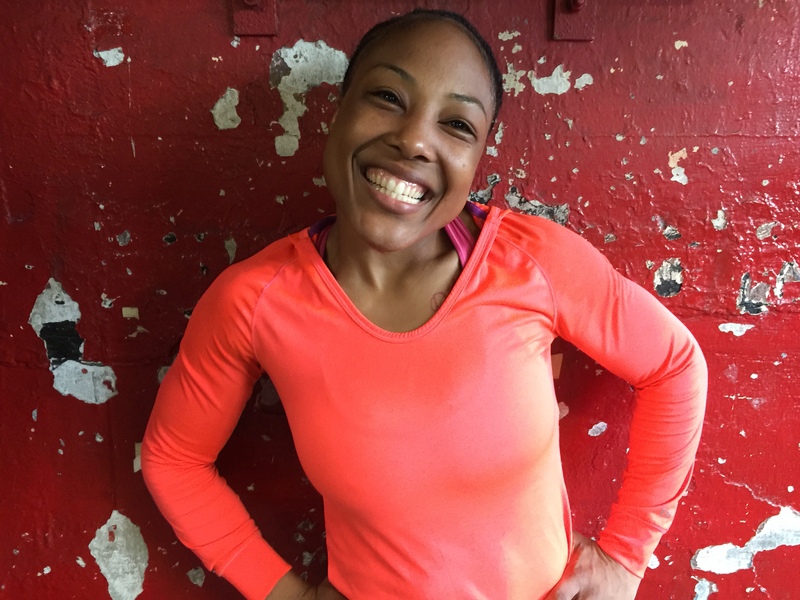 Melissa St. Vil is a boxer with plans. Her first plan is to win the UBF World Female Super Featherweight title on November 12th at Martin’s Valley Mansion in Cockeysville, MD. With her 6-1-3 record, she’ll be fighting the more experienced Jennifer Salinas (17-3-0, 4-KOs), in her backyard, but that doesn’t seem to worry St. Vil. With just seven fights to her credit, she defeated Sarah Kuhn to win the International Women’s Boxing Federation (IWBF) World Welterweight title in August of 2013. And while St. Vil has only had two fights since them (in 2014), she feels confident that she has what it takes to win. 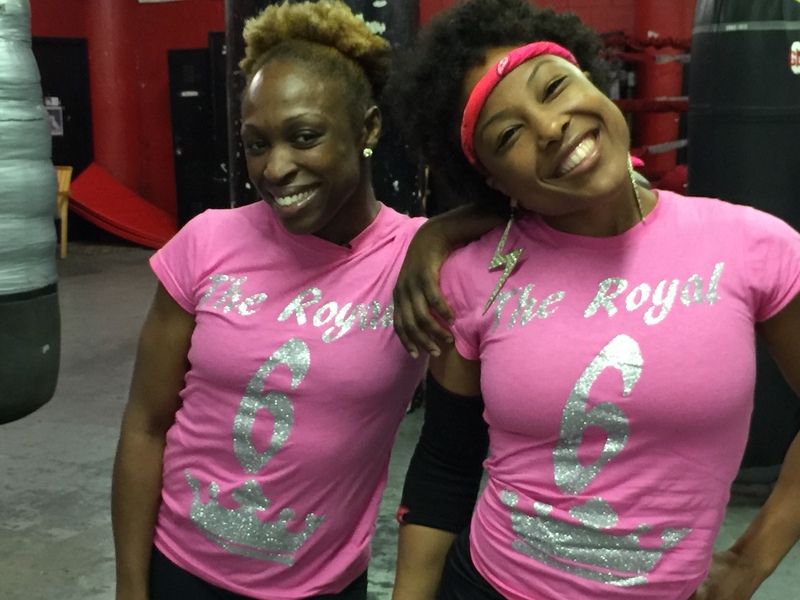 As a member of The Royal Six, a group of New York based female boxing champions (Alicia Ashley, Ronica Jeffrey, Sonya Lamonakis, Keisher “Fire” Mcleod, and Alicia Napoleon), she is actively engaged in promoting the sport, raising money for charity and helping to put together an all female boxing card in the spring. Winning world championships and promoting female boxing arent’s her only plans. She also wants to give back. To make a place of safety and sanctuary for girls and women to overcome violence and to find a place for themselves in the world. With her infectious laugh, it is hard to imagine that St. Vil would have ever known pain or violence–but she did. As with many of us the world over, it’s the fighting back to take possession of one’s own life that is the biggest challenge. Melissa was kind enough to take time from her training with Leon “Cat” Taylor and Juan Guzman to speak with Girlboxing readers about her upcoming fight. We didn’t touch upon the dark stuff at all–just talked about boxing, moving on in life and her passion for the sport.